There’s a lot of buzz this year about the idea that education could be a winning issue for Democrats in the 2018 election. Candidates who are thinking about highlighting their support for public schools could look for inspiration to the 2012 Indiana election for superintendent of public instruction. Glenda Ritz, a Democrat, won with a campaign that focused on her support for teachers and her opposition to vouchers and test-based school and educator accountability. In the solidly red state of Indiana, Ritz upset the Republican incumbent Tony Bennett, a hero of the national “education reform” crowd. Her grassroots campaign succeeded even though she was outspent more than 5-to-1. Yes, Ritz was running to be Indiana’s chief school official, so it made sense that the race focused on education. But education should also be front-and-center in elections for governor and state legislature, offices that makes the laws governing how schools operate. Ritz won by mobilizing teachers and their friends and supporters. 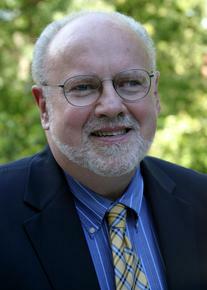 Scott Elliott, then a reporter with the Indianapolis Star, analyzed the results and concluded she won via “a teacher-led movement, online and word-of-mouth, born of frustration with Bennett, his style and his policies.” If that kind of movement can elect a state superintendent, it could elect governors and legislators too. I still hope Jennifer McCormick turns out to be a good superintendent of public instruction, one who looks out for students, teachers and public schools. But my optimism takes a hit when I look at her campaign finance reports for this year’s election. McCormick got a big surge of late cash — $100,000 in October – from Hoosiers for Quality Education, the pro-voucher and anti-union organization started by Carmel businessman Fred Klipsch. In 2016, the group gave the Republican candidate $130,000, more than one-third of all she raised. Hoosiers for Quality Education, despite its name, isn’t a grass-roots organization of Indiana folks advocating for better schools. Its funding comes from a handful of big donors, many of them out of state. They include Red Apple Development, a sister company of Florida-based Charter Schools USA, and K-12 Management, a for-profit that runs online charter schools. Over the years, much of the group’s money has come from the American Federation for Children, a group headed by the Michigan Republican activist Betsy DeVos, reportedly a leading contender to be named secretary of education by President-elect Donald Trump. McCormick ran as a Republican. And running as a Republican was about all a candidate needed to do in this year of a massive GOP sweep in Indiana. Anyone with an R beside her or his name was likely to win. That’s not to suggest McCormick wasn’t a good candidate. She ran a respectful, issue-focused campaign, and she may prove to be an excellent superintendent. She is an experienced educator. She has promised to keep politics out of the office, probably an impossible pledge to keep but a worthy objective. But her victory wasn’t a mandate for policies or pledges. It was a function of Indiana turning bright red in the Year of Trump. Ritz, the darling of teachers’ unions and public-school advocates, didn’t have a chance. Neither did any other Democrat. McCormick got 53.4 percent of the vote to Ritz’s 46.6 percent, according to unofficial figures. In the governor’s race, Republican Lt. Gov. Eric Holcomb beat Democrat John Gregg by about the same margin – even though Gregg, a former House speaker, is smart, funny, Hoosier to the core and ran a strong campaign. Trump got 57 percent of the Hoosier vote to Hillary Clinton’s 38 percent. In the only no-name state race, Republican Curtis Hill got 62.3 percent of the votes for attorney general. In Southern Indiana’s 9th Congressional District, Trey Hollingsworth, arguably the worst candidate Republicans could have chosen, smashed Shelli Yoder, who was the best candidate Democrats will ever find for the contest. You could argue that Ritz and Gregg beat the spread. The results were surprising, though. Recent polls showed Gregg and Ritz leading. GOP insiders looked to have written off the superintendent’s race; they didn’t try to keep up with Ritz in campaign fund-raising. House Speaker Brian Bosma and Education Committee chair Robert Behning seemed almost caught off guard when they discussed the outcome with WFYI’s Eric Weddle. But mandate or not, congratulations to McCormick, and good luck. Let’s hope she advocates for public schools, rejects the fool’s gold of school choice and stands up to anti-public education legislators. May she hire strong professional staff, not the partisans who surrounded Tony Bennett, Ritz’s predecessor. Before Bennett came along, Republican Suellen Reed who served four terms as a rigorously nonpartisan Indiana superintendent from 1993-2009. That’s a model McCormick would do well to emulate. Candidate claims own path, but will it matter? Jennifer McCormick, the Republican candidate for Indiana superintendent of public instruction, seemed to walk back her support of school vouchers at a candidate debate this week. She also came out forcefully for better pay and more autonomy for teachers. But that may be too little, too late to win her much support from educators, often a key constituency for anyone who wants to be elected the state’s chief school officer. McCormick is challenging Democratic Superintendent Glenda Ritz, who won the loyalty of many teachers by slaying the education-reform dragon Tony Bennett in the 2012 election and later by standing up to Gov. Mike Pence and his appointed State Board of Education. At the debate, which took place in Fort Wayne and can be watched on the State Impact Indiana website, McCormick attacked Ritz for sloppy management of the Indiana Department of Education and poor communication with school districts. Ritz defended her record and pointed to her Vision 2020 plan for universal pre-K, less testing and improved high school graduation rates. Ritz’s supporters have cast McCormick as “Tony Bennett 2.0,” a kinder, gentler version of the former superintendent, whom teachers loved to hate. McCormick, the superintendent of Yorktown Community Schools, insists she’s just a professional educator who decided to run out of frustration. “It is time we put students before politics, which has not happened for the last eight years,” she said. Will voucher support hurt superintendent candidate? 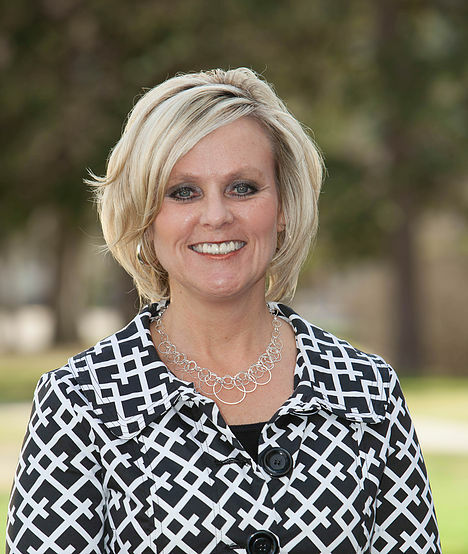 Jennifer McCormick, the Republican candidate for superintendent of public instruction, says she rejects politics and wants to provide effective management for the Indiana Department of Education. But the message isn’t convincing when her campaign supporters include some very political people. Or when McCormick joins them in embracing Indiana’s controversial school voucher program. And let’s face it: Making and administering state education policy is a political process. It’s probably always been that way, but it became much more so when Republican Tony Bennett was elected to the office in 2008 and began using politics as a club to reshape education. McCormick, the school superintendent in Yorktown, Ind., since 2010, is challenging Glenda Ritz, the Democrat who upset Bennett in the 2012 election. She hasn’t yet provided a lot of specifics about policy, but she supports Indiana’s voucher program, which provides state funding to send children to private schools, nearly all of which are religious schools. “I’ve been a huge proponent of parents being allowed that choice,” she told Chalkbeat Indiana. That should be a deal-breaker for many people who support public education. Leaving aside the matter of taxpayer funding of faith-based schools, vouchers cost the state up to $53.2 million last year, according to the Indiana Department of Education. That’s money that could have gone to public schools. 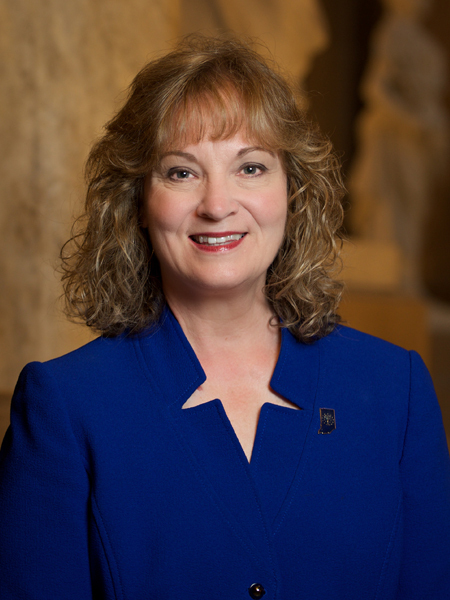 Superintendent of Public Instruction Glenda Ritz hit the nail on the head with her call for expanding state-funded pre-kindergarten programs to all Indiana school districts. Part of the Vision 2020 initiative that Ritz unveiled this week, the universal pre-K proposal makes sense educationally and politically. And it puts pressure on Republican Gov. Mike Pence to come up with a more ambitious plan than anything he has supported to date. Ritz, a Democrat, should also get credit for putting “equity in student access to resources and support” at the top of her Vision 2020 priorities list. It’s not yet clear exactly what that encompasses, but Ritz suggested it will include closing the “digital divide” between rich and poor schools, ending racial disparities in school discipline and providing fair funding for schools. All are all worthy goals. There’s consensus among Indiana’s education and business leaders that access to strong pre-kindergarten programs is important. There’s also widespread support for the idea from academic experts – check out the website of Nobel Prize-winning economist James Heckman, who is on an all-out crusade to persuade policymakers of the economic and social benefits of high-quality pre-K.